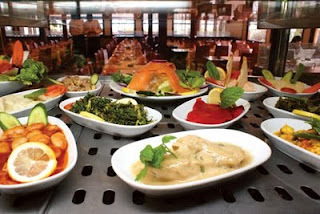 If you are walking around the city, feeling hungry and don't want to indulge in a big meal, I would suggest going into any bufe for a snack or a light meal. 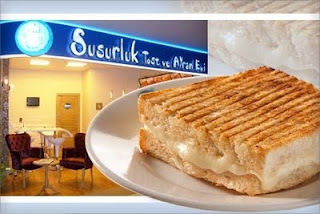 Bufes are small snack shops that specialize in tost, Turkish style grilled cheese sandwich, and different types of sandwiches and hamburgers. My favorite is the simple cift kasarli tost (two pieces of thick slices of bread with extra kasari cheese, grilled in a heavy iron grill) which goes really well with Ayran ( salty yogurt drink.) 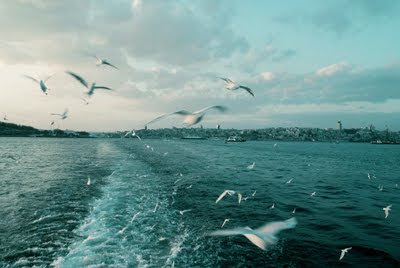 Ayran which is one of the most popular drinks in Turkey, is an acquired taste for most Americans. For those who are not adventurous enough to try a salty drink, there are also freshly squeezed fruit juices and Turkish tea that also goes really well with tost and other offerings at a bufe. 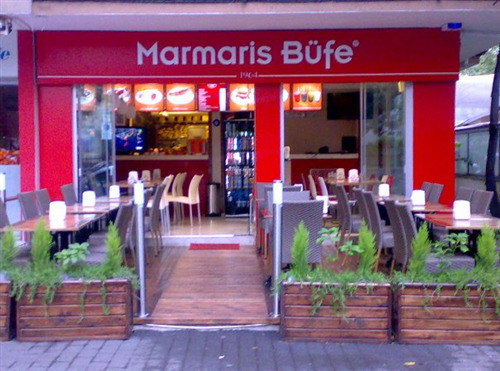 There are bufe chains all over town like Marmaris Bufe, Durak Bufe, Kristal Bufe, Baris Bufe, Taksim Bufe, Susurluk Tost ve Ayran evi which offer consistent great tastes for very reasonable prices. 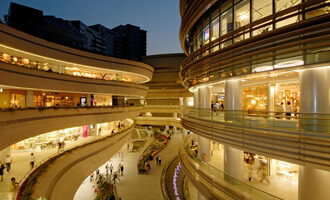 While some are small hole-in-the-wall type of places, some offer outdoor seating. 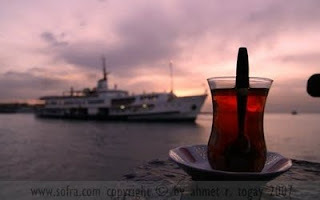 My most memorable tost and tea snacks have been the one's I have had on the vapurs (steam boats that carry commuters back and forth on the Bosphorus) or vapur iskelesi (ferry docks) and the make-shift cafe right on the water, in front of the Dolmabahce palace parking lot. While searching for more information, I found this great website that seems to have all the pertinent information and latest news about Istanbul. I will probably be using it myself when I get into town. 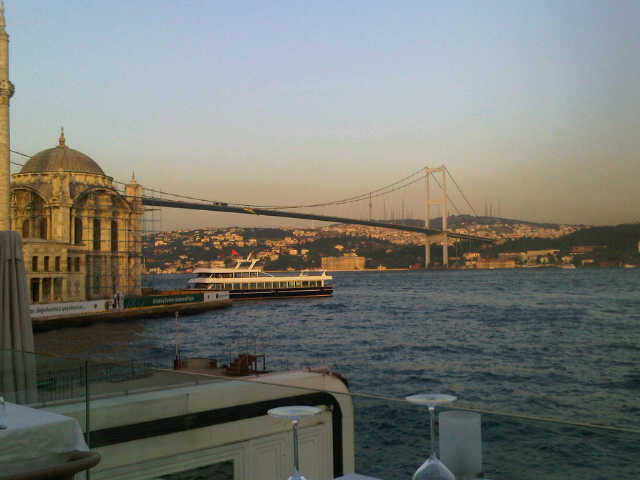 If you want to experience summer nights on the lap of the Bosphorus, Anjelique, bar, restaurant and night club situated in a three story yali (house by the sea) in Ortakoy, is the perfect place for you. 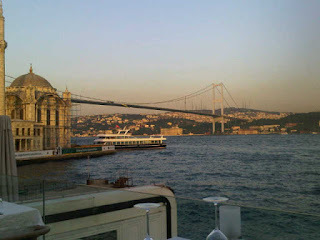 You should arrive around 7.00 pm to enjoy drinks on the terrace and watch the sunset. I hear their mojitos are superb. 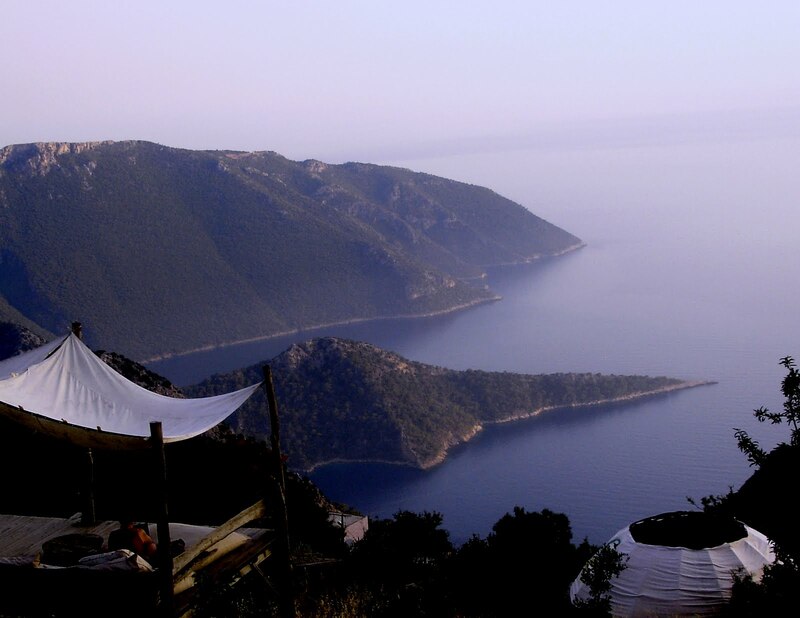 After the sunsets, you can enjoy a great meal from their rich menu of world cuisine. Their portakalli ordek (duck a l'orange) is one of my husband's not-to-be-missed recommendations. My son and nephew were there last week and they couldn't stop raving about each and every single delicacy they had from the hors d'oeurves to the delectable chocolate souffle for desert. Once the music starts, the sophisticated restaurant turns into a world-class night club. 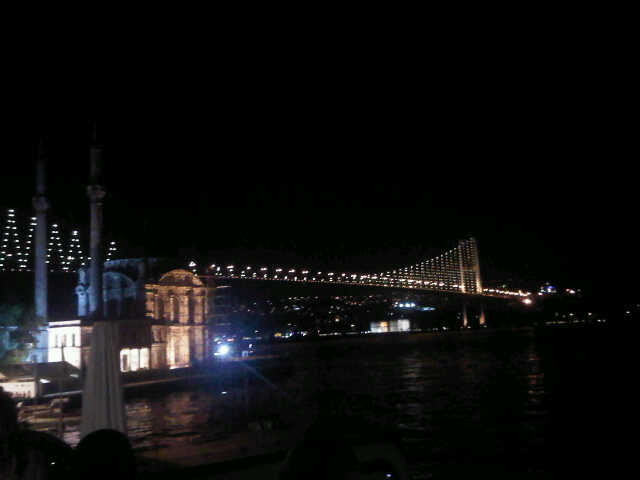 Dancing under the stars on the shores of the Bosphorus is on my list of zesty moments to savor in Istanbul. 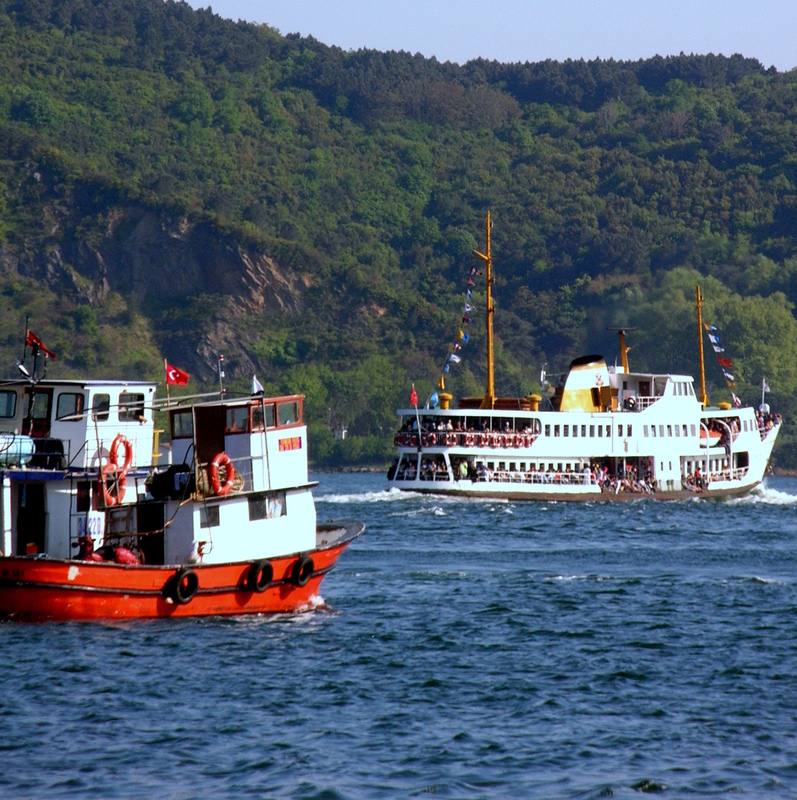 A perfect beginning or ending to a fairy-tale evening would be to arrive or depart from this incredible place with the boat service going back and forth between the two shores of the Bosphorus. 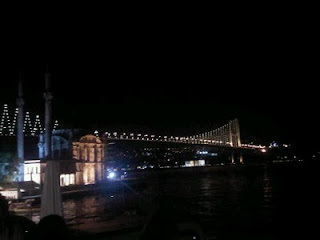 There is also a good review on http://www.istanbulview.com/anjelique/ if you want to get a feel for the place. 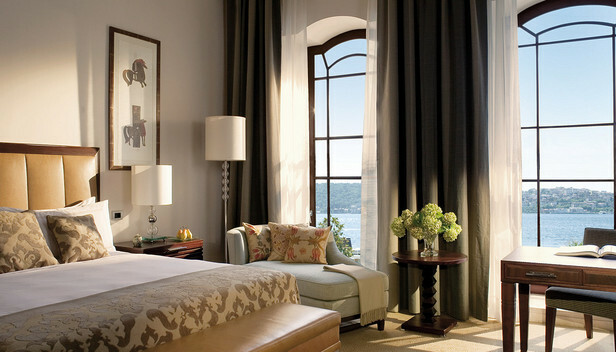 This is the first Four Seasons Hotel to open in Istanbul. It was a century old neo-classical prison before they turned it into a hotel which is worthy of a visit just to experience it's unique aura. For years, the Sunday Brunch at the Seasons Restaurant was one of our favorite haunts. 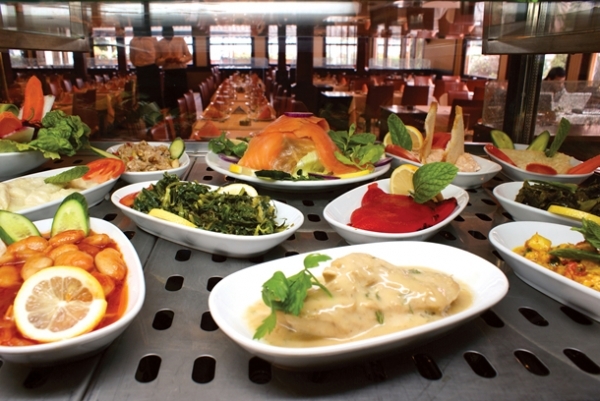 It is the best I have had anywhere in the world with an amazing selection of delectable food and deserts. The desert buffet alone would make it noteworthy. 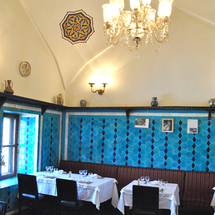 The location of this hotel at the center of the old city, Sultanahmet, can't be beat since it's only steps away from the Topkapi Sarayi (Topkapi Palace), Arkeoloji Muzesi (Archeology Museum), Sultan Ahmet Camii (Blue Mosque) and Aya Sofya (Hagia Sophia) just to name a few of Istanbul's key historical attractions. Not to mention Kapali Carsi (Covered Bazaar) and Misir Carsisi (Spice Bazaar) all within a short walking distance or one to two stops on the metro. This Four Seasons situated in a 19th century palace, has the advantage of being right on the Bosphorus with breathtaking views. This is a wonderful part of town that offers different venues, out of the way museums and an abundance of restaurants and nightclubs. 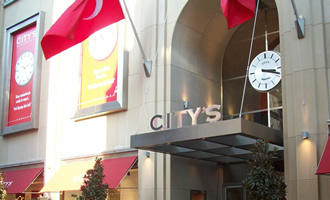 City center is still a convenient taxi ride away. Staying here, one can get the whole dreamy experience of life on the Bosphorus. There is an abundance of Balik Lokantasi (Fish Restaurants) along both the European and Asian sides of the Boshporus and to a novice all would probably taste quite spectacular. Since my husband and I pride ourselves in always searching for the perfect meal, I can confidently say that Set Balik Lokantasi (a little off the beaten path) in Kirecburnu is probably one of the best that we recommended to everyone we know. This place is always at the top of my list and one of those places I dream about when I am away from Istanbul. What makes Set Balik so special is not just it's fantastic food but it's service and prices as well. I should probably make a footnote here about the prices in these seafood restaurants. You should always ask to see a menu and make sure to check the bill carefully. The whole easy going culture of 'not worrying' can sometimes have unpleasant results. I sometimes feel that they charge by the person instead of by the amount of food and drink consumed. This will not happen in Set Balik, they are very reasonably priced and I don't remember, ever being surprised by the bill there. 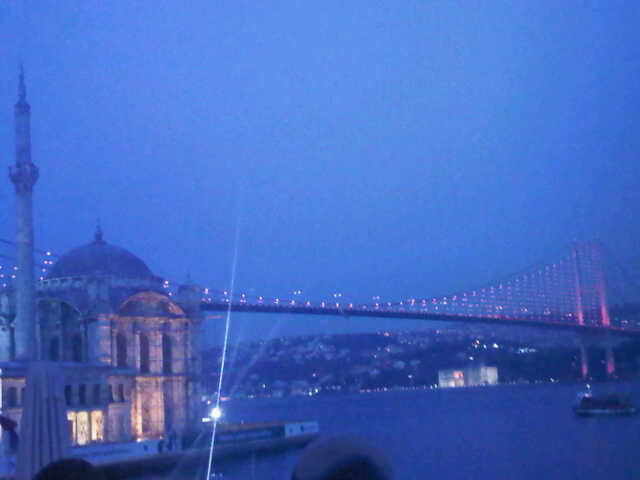 Having said all that, I think any meal by the Bosphorus is a priceless experience. Set is by the water but not on the water, but if you sit at the terrace you still get a view and of course there is also the fabulous sea air to inhale. 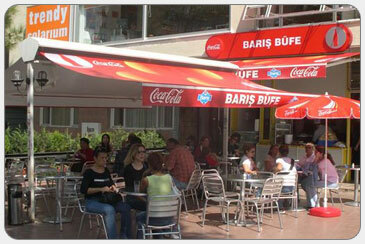 Turks love to sit outside and the ever resourceful Turkish restauranteurs are prepared for all eventualities. 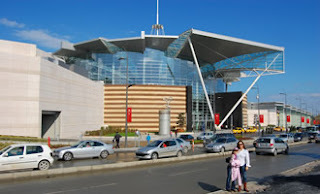 They have massive awnings that open and close according to the position of the sun, outdoor heaters to prolong the season for as long as possible and also provide shawls and blankets for anyone who might feel chilled. But even on a cold, dark, winter day where you have no choice but to be inside, the food alone will be enough to lure people in. This place is usually packed especially on the weekends but it is still possible to have a nice, quiet meal if you go at off hours (we like to go for a late lunch or an early dinner before the crowds) Although I cannot complain about much even when it was completely full. For the hot meze- their fried calamari is a great example of its kind (my husband will get this for his main meal) they also have a very interesting fried potato roll with seafood in it that I think is delightful, plus on some days, a waiter will come out every once in a while and drop off a plate with something new they are trying out. 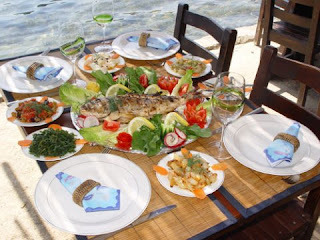 All of the main seafood dishes are very good in my experience and I can't just name one I like particularly better than another so I say go for whatever catches your fancy... I am sure you will be happy.